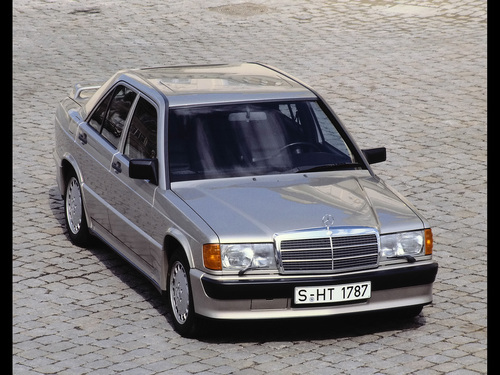 Complete digital workshop maintenance manual written for the Mercedes-Benz (Model 107, 123, 124, 126, 129, 140, 201 Series); Production model years: 1981, 1982, 1983, 1984, 1985, 1986, 1987, 1988, 1989, 1990, 1991, 1992, 1993. All styles covered (all models, and engines). This QUALITY manual is 100 percents COMPLETE and INTACT, no MISSING/CORRUPT pages/sections to freak you out! Buy from responsible seller and get INSTANT DOWNLOAD now without wasting your hard-owned money on uncertainty or surprise; this manual is exactly as described. PREVIEW LINK was listed below FYI. This manual provides detailed descriptions of maintenance jobs, testing and adjustment data, filling capacities, torque specifications, and special tools. Each individual maintenance job is identified by a job number located at right or left heading of each page. The job numbers in the Maintenance Manual are identical with those on the Maintenance System Sheets and the Maintenance Booklets, so that the respective texts and data can be quickly located when performing maintenance work. The first two digits of the 4-digit job number are the group numbers as used in the workshop literature. In this manner, each maintenance job is associated with the appropriate group. The models and/or engines to which the jobs apply are listed below the job numbers. Particularly extensive job numbers are subdivided according to models or engines. FYI, just hit the INSTANT DOWNLOAD button near by the product picture to purchase. Awesome Tx Got all I needed. Excellent. just bought the manual. excellent diagrams. thanks..